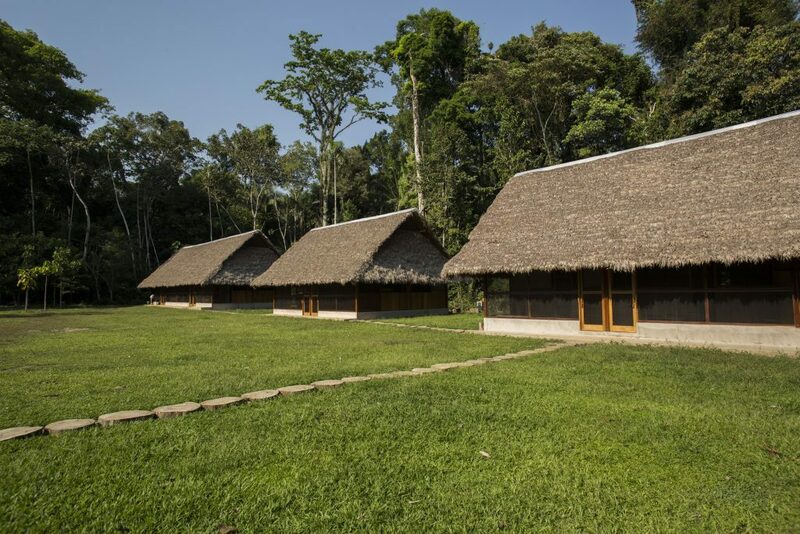 A place designed to train Inkaterra Explorer Guides and host investigators, volunteers and travellers eager to engage in different projects and experience the amazon rainforest in an intense and scholarly way. Training Inkaterra Explorer Guides includes becoming ecotourism leaders surviving and excelling in guiding skills, managing ecological projects, and general knowledge of the different Peruvian ecosystems in the three territorial regions. Our selected training Explorer Guides will guide both groups of students and travellers during their stay in the station. 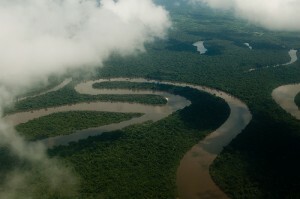 The Tambopata National Reserve is one of the last easily accessible virgin tropical rainforests in the world. 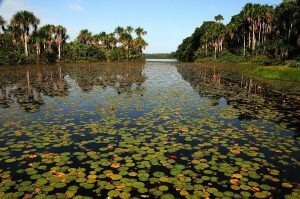 The Reserve, a 274,690-hectare area (678,774-acre), offers a wealth of biodiversity, as well as magnificent natural landscapes. 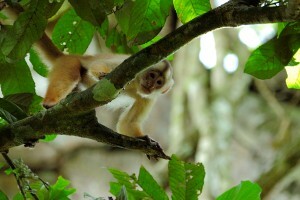 Puerto Maldonado, known as the “Capital of Biodiversity,” is the largest city of the Tambopata region. Overlooking the confluence of the Tambopata and Madre de Dios Rivers, Puerto Maldonado is 400 meters (1,312 feet) above sea level, 650 km (404 miles) from Cusco, and 15 km (9 miles) upriver from the Inkaterra lodge. Daily commercial flights connect Puerto Maldonado to Lima and Cusco. The lodge is 11 miles (17 km.) 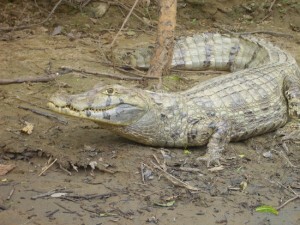 from Puerto Maldonado, about 50 minutes by motorized canoe, down the Madre de Dios River. Each cabaña has 2 double rooms with 2 twin beds, 100% cotton sheets, a fleece blanket, extra blanket available, anti-allergic pillows, mosquito net; large personal bathroom, hot water, shampoo, conditioner and liquid soap dispensers, a set of clean towels; one ceiling ventilator, personal dividing closets with plenty hangers, personal working table with a security drawer, reading lamp, rechargeable flashlight, an umbrella and a universal plug. Free internet during electricity hours. Each Cabaña has a terrace. Not additional beds available / We do not recommend children under 6 years. Each cabaña has 4 quadruple shared rooms with 4 twin beds, 100% cotton sheets, a fleece blanket, extra blanket available, anti-allergic pillows, mosquito net; large personal bathroom, hot water, shampoo, conditioner and liquid soap dispensers, a set of clean towels; one ceiling ventilator, personal dividing closets with plenty hangers, personal working table with a security drawer, reading lamp, rechargeable flashlight, an umbrella and a universal plug. Free internet during electricity hours. 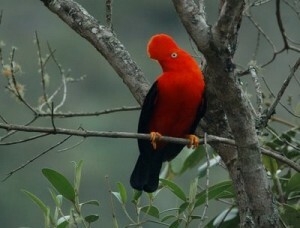 *Check-in 1:00 p.m. *Check-out 11 a.m.
Inkaterra Guides Field Station offers 10 excursions in Spanish or English. Our excursions may be classified according to duration: 1⁄4 day (1.5-2 hours), 1⁄2 day (4-6 hours) or 1 day (7 hours or more); as well as by difficulty level: easy (I), moderate (II) or difficult (III), or attractions. 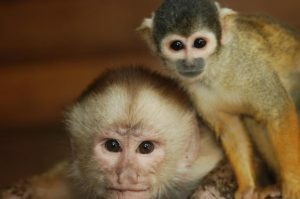 Some excursions offered at Inkaterra Guides Field Station are included in our rates, except those specifying an additional charge or special programming. TRAIL SYSTEM Walk through Inkaterra Guides Field Station exclusive trails to explore the rainforest ecosystems at the Inkaterra Ecological Reserve, where 540 bird species, 362 ant species (world record) and over 100 mammal species have been registered. RIVER NIGHT WATCH Cruise on the Madre de Dios River in search of the wildlife that surfaces during nighttime. 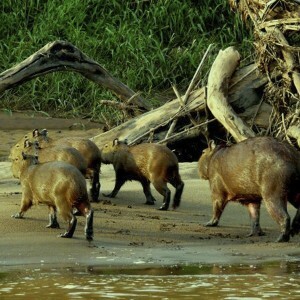 Identify the behavior various animals such as capybaras, white caimans and nightjars, as they take advantage of the dark to roam around the Amazonian riverbanks. 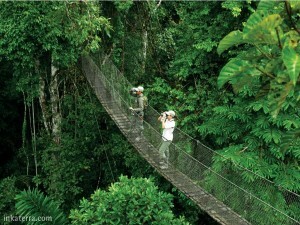 INKATERRA CANOPY WALKWAY Winner of the PURE Award in the ‘High Emotion/Low Impact’ category, the Inkaterra Canopy Walkway is a 1129ft system of 2 observation towers, 8 platforms and 7 hanging bridges 100ft above the ground. 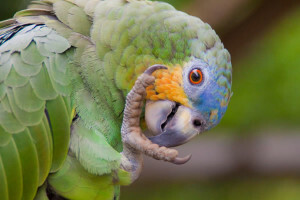 Designed to perform scientific research on ecosystems inhabiting the rainforest canopy, this attraction contributes to birdwatching and other eco-friendly activities. *Lake Sandoval (Alternative excursion at additional cost). Navigate with a canoe this beautiful oxbow-shaped water mirror surrounded by Aguaje palm trees (Mauritia flexuosa), inhabited by giant river otters (Pteronura brasiliensis), blue and yellow macaws (Ara ararauna), hoatzins (Opisthocomus hoazin), red howler monkeys (Alouatta seniculus), black caimans (Melanosuchus niger) and one of the world’s biggest freshwater scaled fish: the paiche (Arapaima gigas). Access to discretion during rainy season. 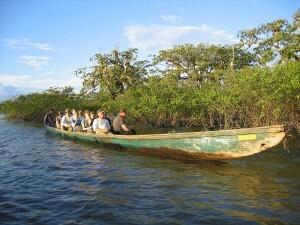 Return on motorized canoe to Puerto Maldonado.